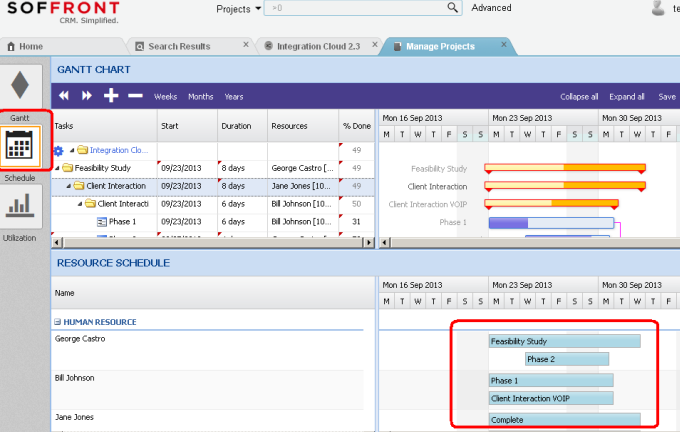 We have introduced PM tool by which User can manage his project schedules very easily inside CRM10. Its user interface is intuitive and interactive and allows the user to work with both the mouse and keyboard. 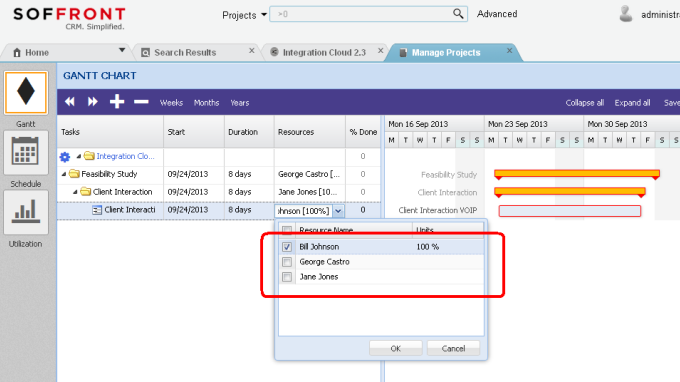 Also User can import existing MS Project schedules to CRM10. 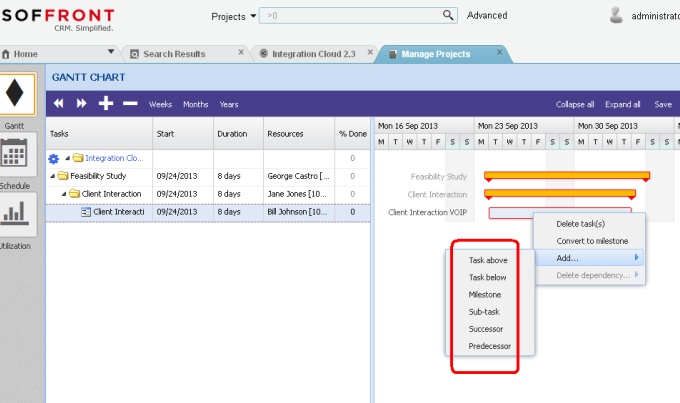 We have extended this with Gantt functionality based on Bryntum’s Ext Gantt. 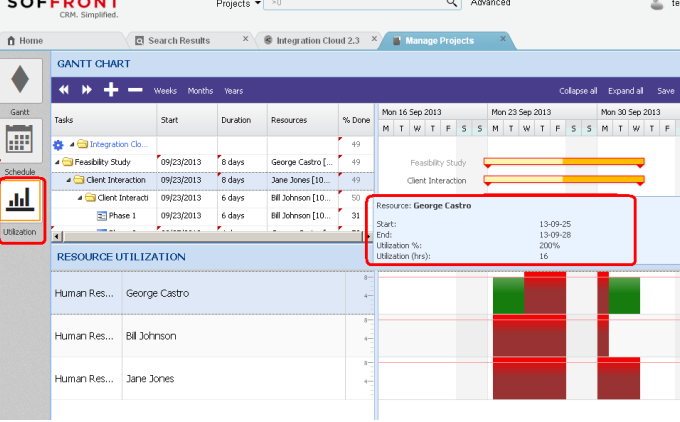 These should be visually reflected in Gantt (refer to below screenshot).